This Egg Drop Soup is the BEST! 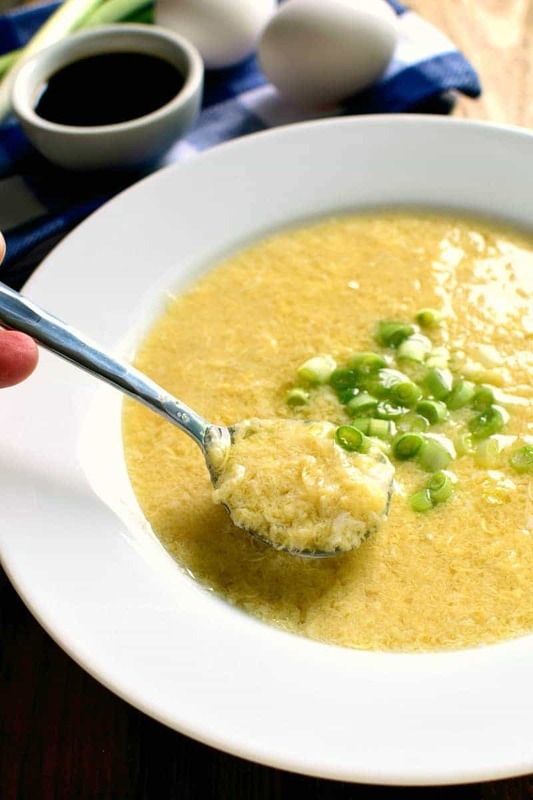 This quick and easy soup is made with just 8 ingredients and is ready in minutes. Perfect for curling up to on a cold winter day! So we’re entering a new stage with Ellia. A stage dreaded by parents everywhere: THE MIDDLE SCHOOL YEARS. How we are already there, I have no clue. But what I do know is that one week from today we’ll be at middle school orientation…and from that point on, things will be getting VERY real. Ellia will be choosing her classes and meeting her teachers and touring the building….and then counting down the days until she’s no longer a grade schooler. To be honest, she’s not excited. If it were up to her, she’d stay in grade school forever! She loves her school, she loves her teachers, and she loves the comfort of being in a place she knows. And even though I have fond memories of middle school friendships, one thing she’s really not excited about is the middle school drama. And let me tell you, it has already started. In a major way! I was at their school for the Blizzard Ball this past weekend and was shocked to see the way the 5th grade girls were marching around, cell phones in hand, looking a whole lot more like teenagers than the little girls I remember them as. Thankfully, Ellia wants no part in it. She’s happy to have her few close friends and more than happy to stay out of the drama. Which makes me just about the happiest mom around. Thinking back, I was pretty much the same way. I dabbled in drama but quickly realized it wasn’t for me. No, I was more of tiny little group kind of gal – and by tiny, I mean myself and one or two friends. And in middle school? Those friends were Amy and Michelle. We spent a lot of time together after school and on weekends…and one of our favorite things to do was walk to the nearby Chinese restaurant. We would order our favorites, including Egg Drop Soup, and sit and talk and act like little adults. Not in a drama-filled way, but in the best way possible. 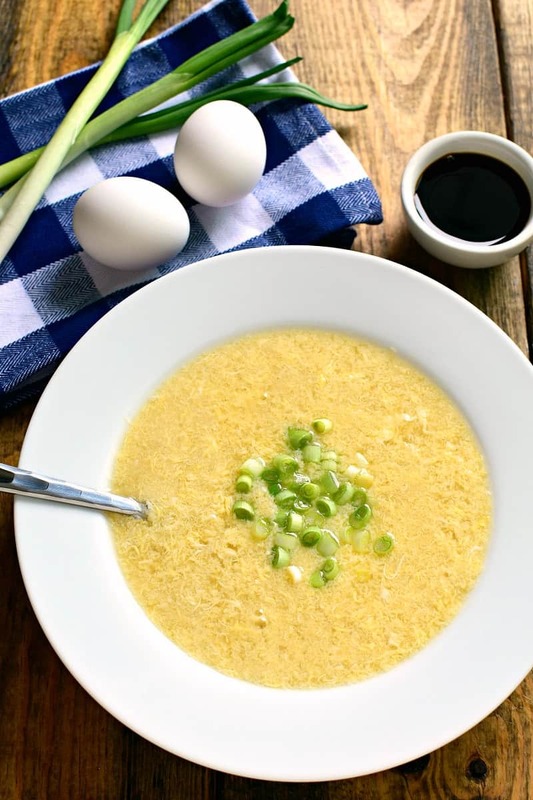 And this Egg Drop Soup recipe? Well, it reminds me of those days. Easy, carefree, comforting, and SO delicious. And even better when they’re made with Phil’s Fresh Eggs! 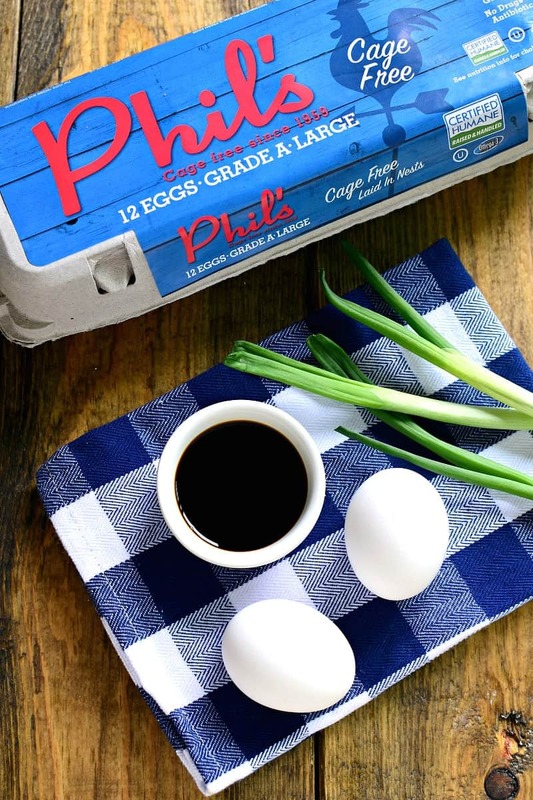 I love that Phil’s Fresh Eggs are cage free and certified humane, produced by happy, well-fed chickens. Meaning they really do taste better, and you can feel good about feeding them to your family. 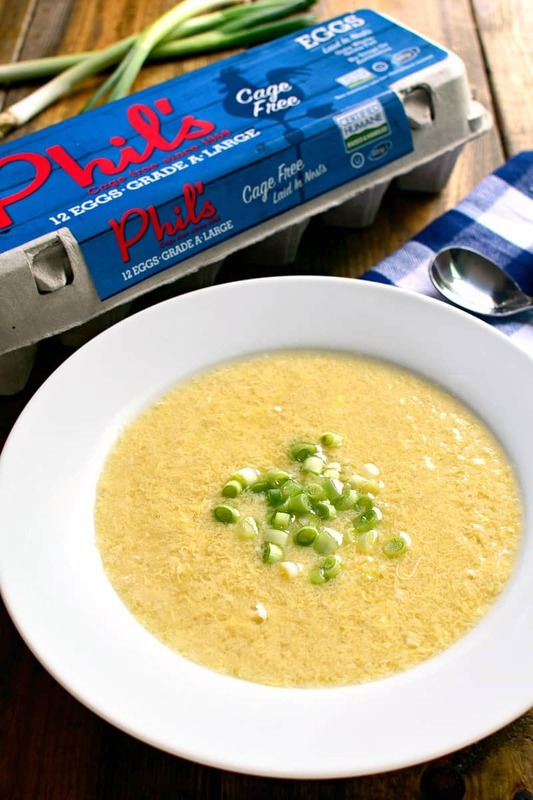 And since the egg really is the star of the show in this Egg Drop Soup, Phil’s Fresh Eggs are the way to go. 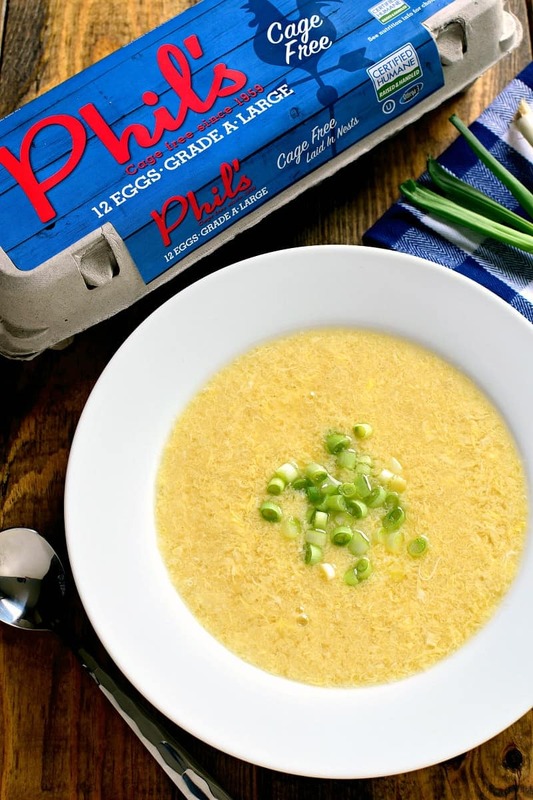 This soup couldn’t be easier to make – just a few simple steps and 10 minutes or less – and you have the perfect bowl of Egg Drop Soup! Now if only pointing our middle schoolers in the right direction were just as easy…. 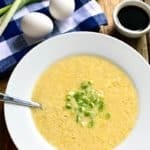 The BEST Egg Drop Soup! Made with just 8 ingredients and ready in minutes...perfect for curling up to on a cold winter day! In a medium saucepan, combine chicken broth, soy sauce, and sesame oil. Stir together corn starch and water; stir into boiling water. Slowly add beaten eggs, whisking vigorously until eggs are completely incorporated. Stir in dried minced onion and salt. For another great egg dish to enjoy, try my Overnight Sausage Egg Casserole! My grandma used to make egg drop soup so this is bringing back memories! It’s been ages since I had it. I need to make it soon! I haven’t had this in ages, and now I’m totally craving this soup! It looks wonderful! This is one of my favorite soups!! Looks SO amaaazing!! I love the texture of this soup! oo YES!! So good! I love that it’s so fast to make and only has 8 ingredients!